I did my practice flight this last weekend too. I might add to practice at slower speeds. I flew without flaps at 90, 80 and 70kts, making 180 degree turns at each speed then did with 10 degrees of flaps at each of these speeds and again making 180 degree turns. I prefer the 10 degree flap setting for more stability and getting the nose down. This will prepare you for the very real possibility of getting behind a cub or other slow AC. I am comfortable reducing speed and not S-turning in such a situation, which is not allowed by the NOTAM and still be at 40% over stall speed. Last year was my first fly in trip to Kosh. I got on Google Earth and got familiar with railroad track and Ripon, Fisk, and landmarks along all the possible runway approaches. I watched a lot of youtube videos of different approaches to the different runways. It sure helped me a lot. I have prepared this year the same way. I would also suggest practice slow flight at a safe altitude and slowing it down to even 70kts and watch and see how your oil temp is going to react so it isn't a big distraction when you get there. 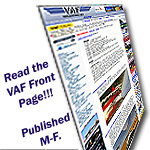 An old thread just in time for OSH AirVenture 2018. On my RV, I know to start with a 2,100 RPM and 16.5" MAP for my RIPON FISK KOSH arrival. MP will be adjust as necessary to as high as 18.5" to maintain airspeed and altitude. My airplane has not seen more than 350 CHT on my practice flights. OT never went over 200. Being a tailwheel aircraft, I hand fly the airplane with more back pressure than some people may like. (I leave elevator trim at setting that is hands-off at cruise speed.) I like to do wheel landings where I can release back pressure to keep the wheels on the runway and require very little or no forward stick pressure. Now living at a different airport, I still practice for my 19th trip to Oshkosh AirVenture. Depart runway 09 with a left 270 (more like 240-250) departure to cruise altitude and speed. Then decent to 1,800 (1,100 AGL) and 90 KIAS along a highway. Looks something like this. 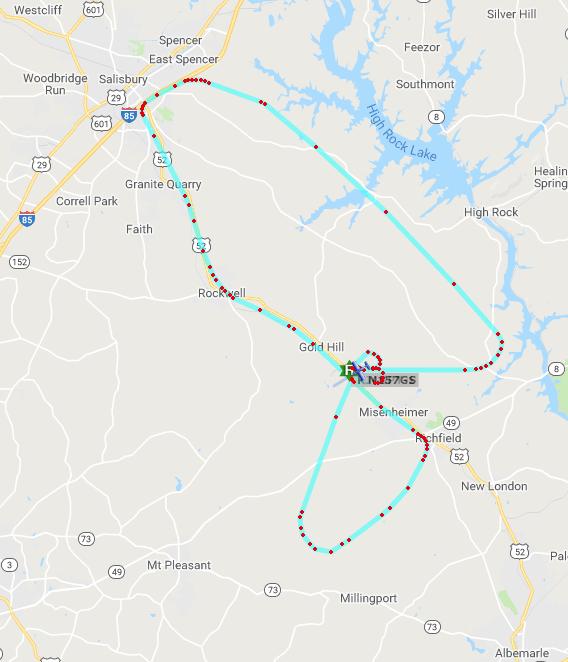 This year, my HAM Radio 2-Meter APRS tracker is operational and one can look at my actual track. Above image is a snapshot of one website but the AirPRS.com website will soon be retired but in the mean time, can be used to look at actual data of one of my OSH arrival practice flights. I have done this flight several times and this link will take you to the flight I did this morning. Yes there was another aircraft that I went around for on right base same time I was on left base so there is a circle around the airport. There are other comments in this thread that others point out things that the new to flying in to AirVenture should be aware of. With the advent of more of these slower airplanes maybe a revision of the Oshkosh VFR approach is needed. I think the NOTAM advises for the slow flying crowd to show up at 7am, also I believe that it allows passing of slower aircraft if it is safe. I did find the sentence about slow aircraft arriving between 7 and 7:30AM. I understand the reasoning that generally early means light traffic. What I am trying to understand is how an 80kt airplane can get there early. I did read where it says explicitly not to pass other aircraft unless advised by ATC. Is there something else I missed? There’s more to it than just slow flight. Some years ago I wrote an article for Kitplanes on other skills you should be good at. If Paul can’t find it, maybe he’ll let me repost it myself. Another good thing to practice is changing your landing point. i.e. you're cleared to land on the numbers then told to keep it flying down the runway to another point. This happened to me on short final last year. My co-pilot and I practiced for OSH last Thursday - neither of us have ever flown in. Even though we will be arriving with a mass arrival Sunday morning we trained as though were were just joining the crowd over Ripon. We also practiced spot landing, delayed landings, go-arounds, and did multiple abbreviated patterns at 500' as well as 500' departures. We are fortunate in that we have a handy set of train tracks nearby so we even got some decent visual fidelity. Why am I writing this? Not to pile on, but rather to thank those who have gone before who recommended doing this training for the OSH arrival, and to say how much of a confidence-booster it is. At the end of the flight both my co-pilot and I felt ready to handle the airplane going into OSH - that's a very valuable level of confidence to have in both the airplane and the flight crew. Well worth the two hours of gas burned. What revisions are you suggesting? Last edited by painless : 07-16-2018 at 11:31 AM.